"Here’s an important article that describes the state of tourism today and it’s negative effect on locals. We heard the same message from Professor Mendlinger at our Forum on the Costs of Tourism in April, 2016. George said then that tourism creates private profits along with socialized costs. Others now state this: 'Tourism is a phenomenon that creates many private profits but also many socialized losses,' says Christian Laesser, a tourism professor at the University of St. Gallen. When will our elected officials acknowledge this?" As I have mentioned before, our travels are no longer as naive as they use to be. We now see every place visited through the lens of the impact of tourism on our own appreciation of Napa. And on the environment. We are headed to Porto for a conference in October, so the Der Spiegel article is timely - and concerning. The solution proposed by a tourism conference in Berlin? Spread it out. 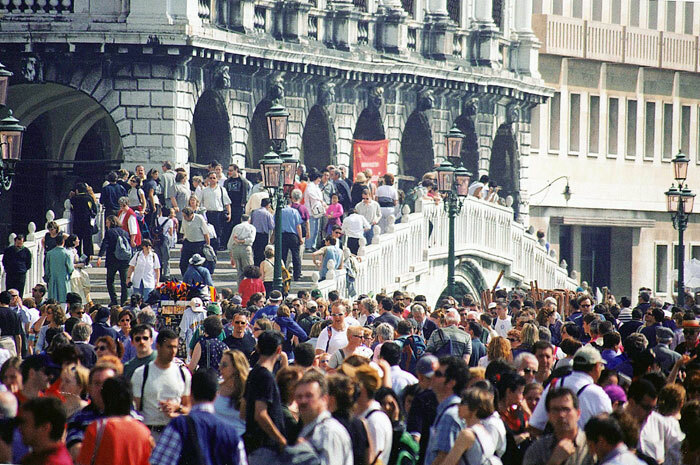 Rather than being overwhelmed by tourists at peak periods, have constant tourists at every location at all times. This is a tourism industry solution to the very real impacts that tourism is having on residential communities all over the world. And, in fact, it is the solution that Napa County takes with Visit Napa Valley. When I asked Mark Luce why the county spends millions of dollars on Visit Napa Valley each year to attract more tourists, he said that it's not about attracting more, but in spreading out the tourism by promoting visitation in off-months and off-hours. What it really does is to promote filling up the level of tourism at all times to match the overwhelming tourism at peak periods. And, of course, to increase the tourism urbanization that threatens the rural small town quality of life in the county, impacts not so different to those being felt, and fought, around the world. The international uprising of locals against the unwanted impacts of tourism has been building for some time, as chronicled in this 2015 article in the NY Times. While it seems there is no universal magic trigger point at which resident anger over the threat to the character of their communities becomes actionable, clearly Napa residents, having moved firmly into the double-digit tourist-to-resident category, have begun to realize that a crisis is at hand.